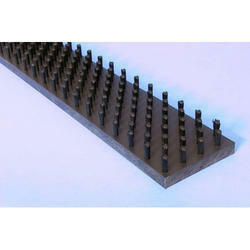 Backed by rich industry experience, we are offering our clients a wide array of Conductive Brush. Our product range is designed in such a way that static charge existing on fabric, paper or printed card board assemblies is removed with the help of these conductive brushes. For ensuring the smooth functioning these ESD conductive brushes are mounted on a metallic strip. - Imported conductive brushes with conductive bristle and conductive plastic handle prevent electro static damages while cleaning the soldered components on the pwbs. - Brushes with antistatic bristle and aluminum handle prevent electro static damages while cleaning the soldered components on the pwbs. We are a well known supplier of a unique range of Jk Door Brush. Our products are highly acclaimed among our customers due to the high quality, softness and cuteness.These products are available in a wide range of designs and sizes to suit the varied requirements of our customers. - Useful for cleaning PCBs, enclosures and ESD work area. - Made of Conductive Plastic handle and conductive bristles. 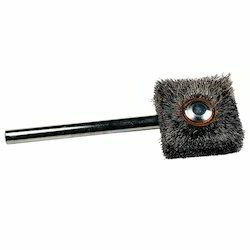 We offer Conductive Brushes that are available in many different sizes.